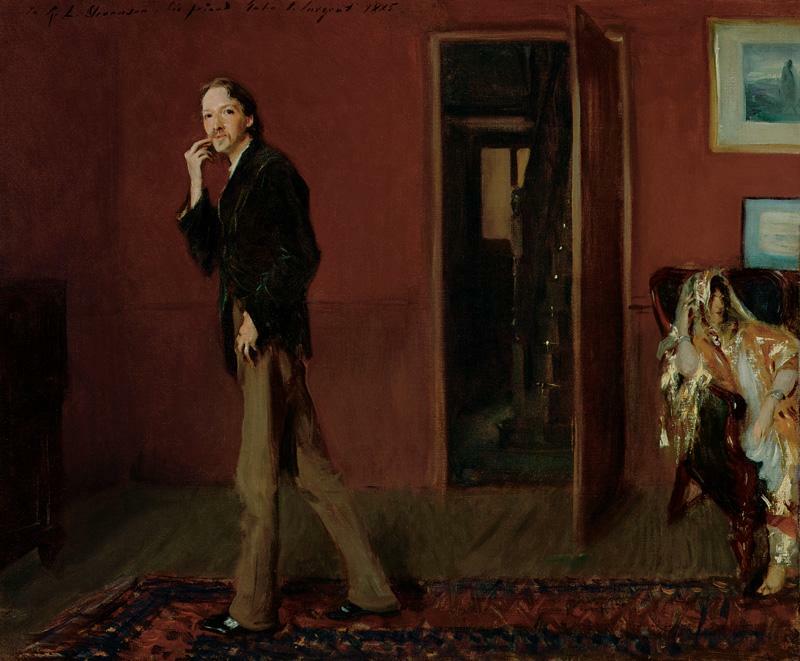 Robert Louis Stevenson wrote his classic tale of a split personality at Bourenmouth, in his usual state of high strung nervousness. 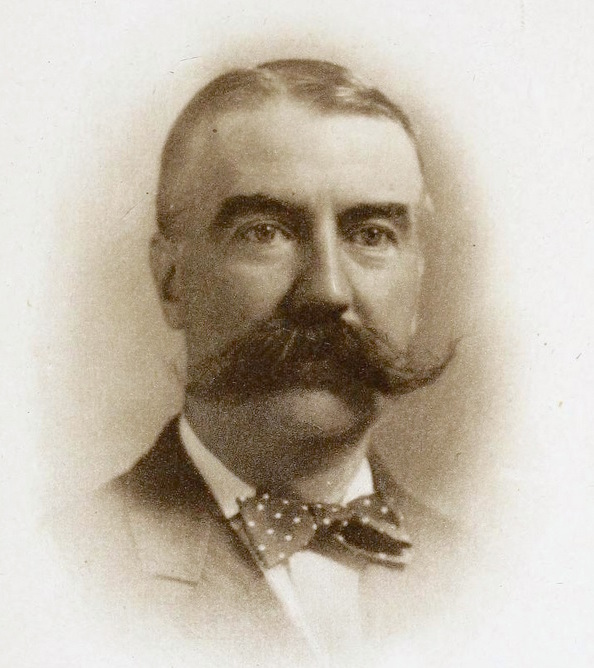 It is said that the story originated in a dream – a nightmare – and was improved based on suggestions from Stevenson’s wife, Fanny Osbourne. The book became a sensation in London, and its popularity attracted impresarios to take on the dual role of the scientist and his bestial alter ego. 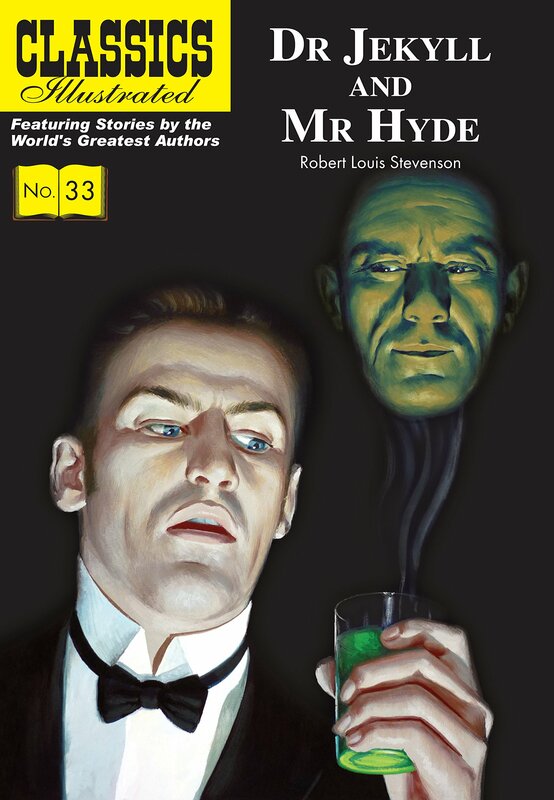 Interestingly, the world premiere of the first Jekyll and Hyde adaption for the stage was held in Boston, in 1887, with a book written Thomas Russell Sullivan. One thing about that Sullivan fellow: well, far out ‘stache, brother! Only three days after the show opened at London’s Lyceum Theatre, (in those days managed by none other than Bram Stoker), Martha Tabram was found murdered in Whitechapel of London’s East End. This was the first of a series of murders that later became associated with Jack the Ripper. 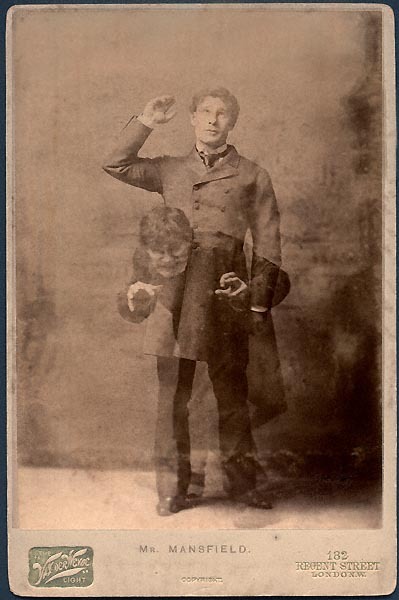 So convincing was the performance of Richard Mansfield, as he transformed from the earnest physician, Dr. Jekyll, into the madman, Mr. Hyde, that people suspected him of being the real murderer. (4) He went on to reprise the role many times over the next twenty years. 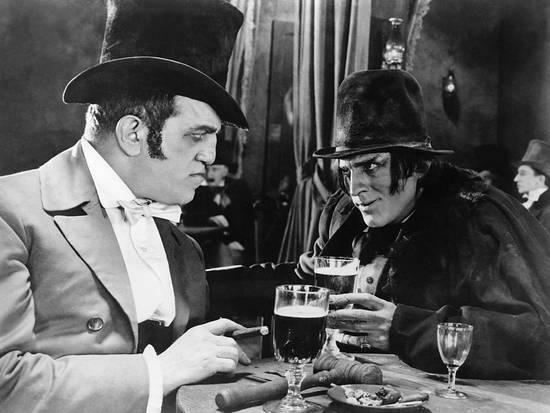 The first film production of Jekyll and Hyde featured King Baggot (1913) whose transformation scene made use of early cross-fade technique, and was the first Universal Studios horror film. 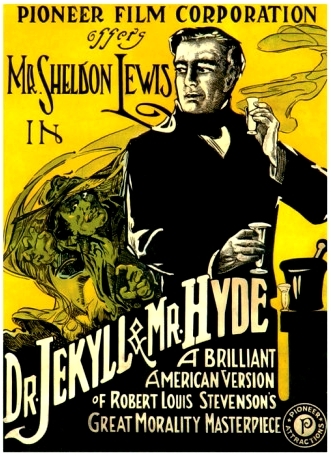 In 1920, no less than three film adaptions of Jekyll and Hyde appeared on the silver screen. Two of them were produced in Hollywood, including Paramount’s iconic version starring John Barrymore. Also released in 1920 was a film version starring Sheldon Lewis from the Pioneer Film Corporation, and in Germany: Jansukopf directed by F. W. Murnau (which has been lost). 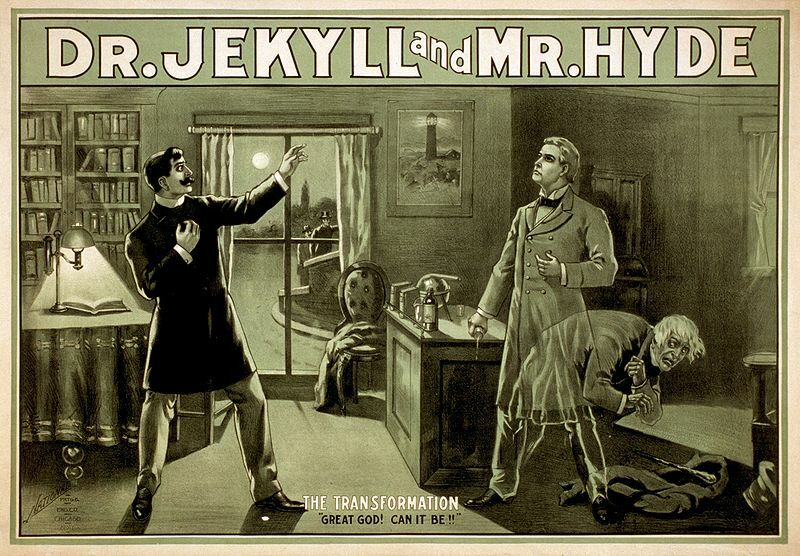 As if Jekyll and Hyde’s Self–Other internal conflict and its overtones of split personality was not enough fodder for the big screen, other film adaptions were later spawned from the storyline. 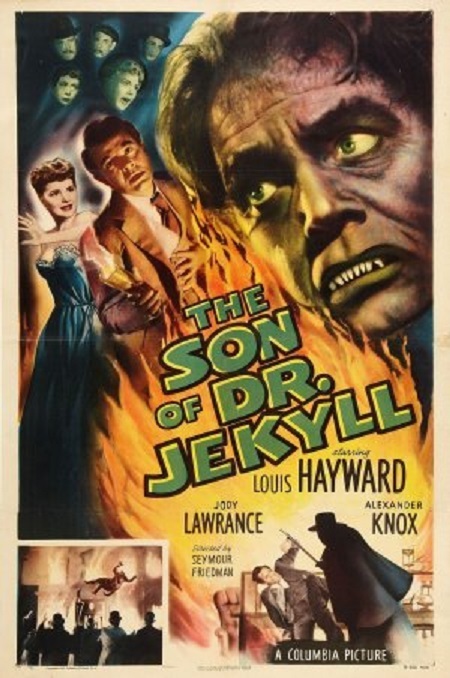 For example, the weird classic The Son of Dr. Jekyll (1951), with Louis Hayward. In this version, the intrepid son must pick up where his father left off, after having been tossed out the academy for his occult practices. Amidst plenty of unconvincing tinkering around with flasks of smoking and bubbling beverages, there are some more realistic images of the Doctor’s nervous fingers tapping out measures of white powder on little squares of paper, followed by sudden bursts of anger and agression, like swatting a whole rack of glass vials off his workbench. 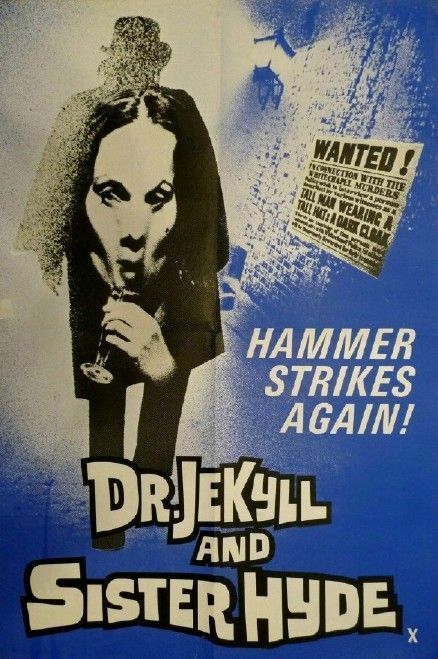 And let us not forget the crazy Hammer Films mash-up from 1971, Dr. Jekyll and Sister Hyde, where the the story gets mixed together with the Ripper murders, along with another historical case of grave-robberies that occurred more than half a century earlier. 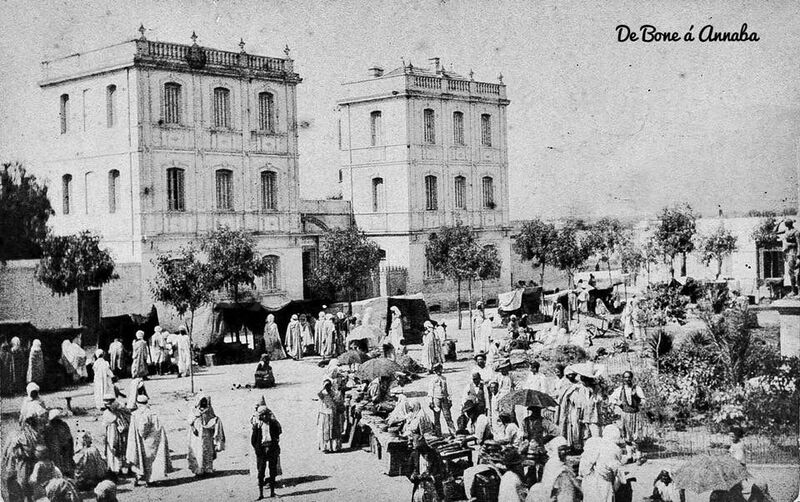 In Dr. Jekyll and Sister Hyde, the Doctor procures fresh cadavers, (supplied by the time-out-of-joint murderers Burke and Hare). 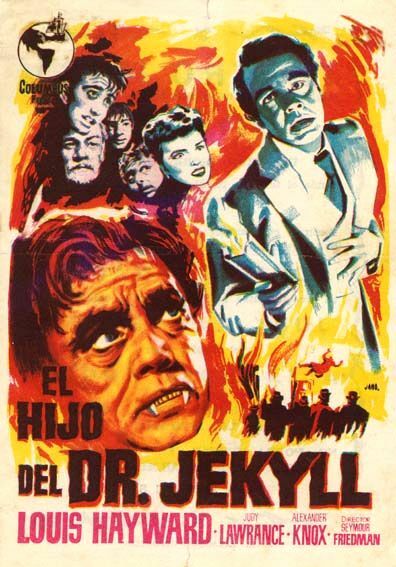 Jekyll extracts hormones from the corpses and mixes them into his fearsome potion, which then has a double effect: turning him into a wild beast, and changing his gender to female. Martine Beswick starred as Sister Hyde, in what can only be considered as the moment when cinema progressed from transvestite to trans-gender roles.